No matter what age your child is, it’s natural and normal to want to be liked. Everyone wants and needs friends. As kids grow and the hormones start taking over, attitudes change. They start moving away from the family and start taking steps into their own world, a world centering on their friends. 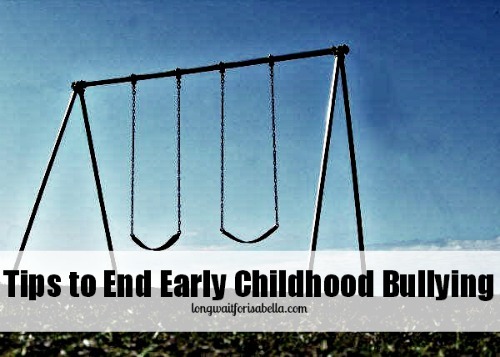 It’s scary for the child to go through, but it’s even scarier for the parent who watches it happen, and feels helpless. 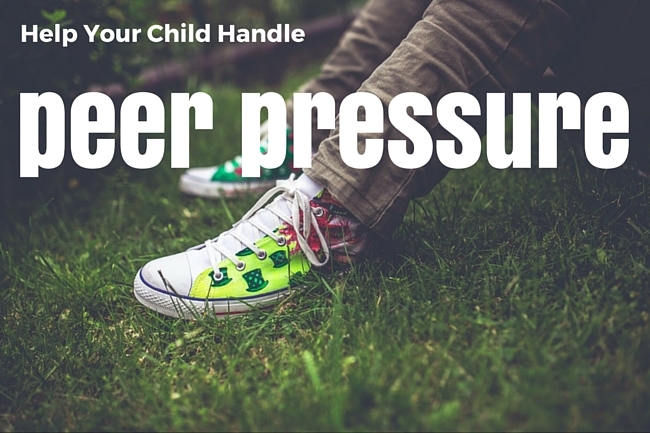 But there are ways to help your child handle peer pressure when it comes along. One of the best ways to avoid the negative aspects of peer pressure later on is to teach your child how to know their own mind as they are growing up. Encourage your child to develop strong values and morals by discussing issues with them, in an age-appropriate way, before they are faced with dealing with the situations in their own lives. Point out good role models who use integrity in their daily actions and behaviors. Sometimes good kids get into trouble out of sheer boredom. With nothing to do but hang around, they can easily be swayed by bad influences to join in dubious activities. Help your children find extracurricular activities that they enjoy, and then be there to cheer them on. Help them gain confidence and self-worth by encouraging them to try new things. Keeping them busy in healthy activities provides them with positive peer groups and keeps them from hanging around and being vulnerable to poor choices suggested by others. Start conversations using examples in the news or local events to discuss the dangers of following along with the crowd when the group is making poor choices. Children don’t usually see the long-term impact a bad choice can make on their futures, but you can help guide their understanding of peer pressure issues by speaking openly, being non-judgmental and choosing a good time to bring up the topic. Children who know they have unconditional support from their parents are less likely to get caught up in the “group mentality” of peer pressure. Show your child that you are always there for them, no matter what. Encourage them to come to you with concerns about situations at school, even if they aren’t directly involved. Talk through the situation with them, and let them vent their concerns. One of the best ways to discover how susceptible your child is to peer pressure is to converse with them on issues that are occurring in their environment. If you are available for your child, they will know where to turn when there are questions and problems. When your child comes to you with a concern or problem, avoid being judgmental, as that may make them defensive for the people involved, which will break down communication. Blaming the child who is involved in the negative behavior may feel like an attack on all children that age—children feel solidarity with their peers. Talk through the situation, providing various outcomes and consequences for poor choices without judging or blaming the group. The development of morality and inner convictions doesn’t happen overnight. It’s one of the things parents are always teaching their children, even when they aren’t aware of it. Remember that the best way to teach is with your actions. Make sure that you are being a good role model, using your own values and morals to make smart choices for your life. Remember that the best way to teach is with your actions. You won’t always be able to make the world a perfect place for your child. But, you can help your child live in an imperfect world by helping them to develop the tools to become a stronger, more self-assured person. 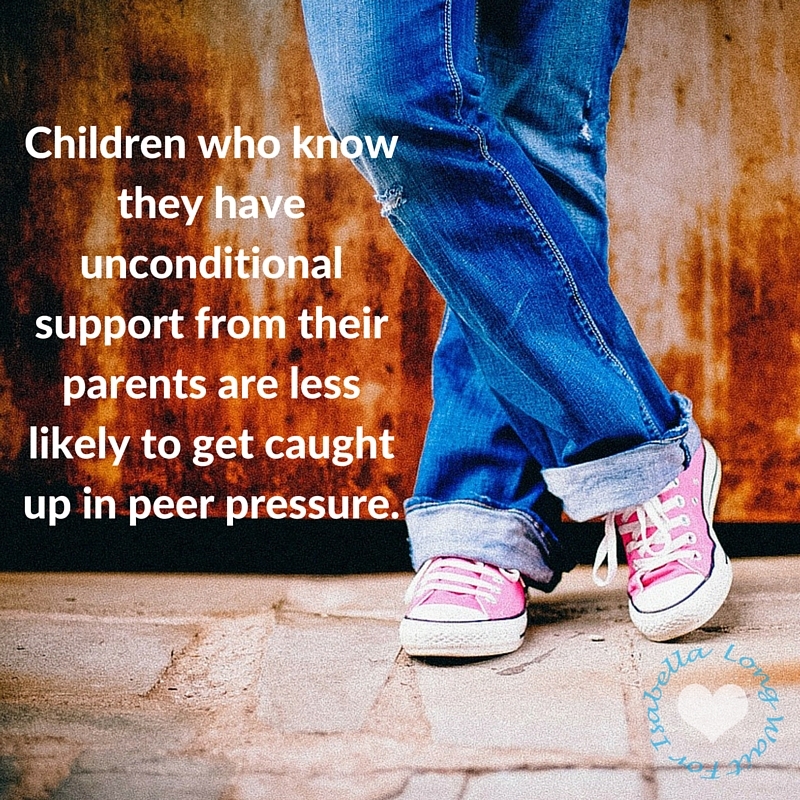 If your child feels comfortable in his or her own skin, has a strong support system and knows what he or she wants and believes, they will be much less likely to give into peer pressure.